• Seminars and other presentations: You’ll be able to attend presentations covering a range of useful topics, such as – Choose Your Ideal Place, Consider Your Ideal Lifestyle and Envision Your Ideal Home. • ideal-LIVING Relocation Guide: Attendees can also pick up a free relocation guide – Choose Your Ideal Place, which is beneficial in the search for your ideal destination providing information on things like taxes, costs of living and climate. Stop by My Coldwell Banker Booth & Say Hello. One of the causes of the housing bubble 10 years ago was the increase of housing inventory to a 10-12 month supply. This over supply caused prices to fall. 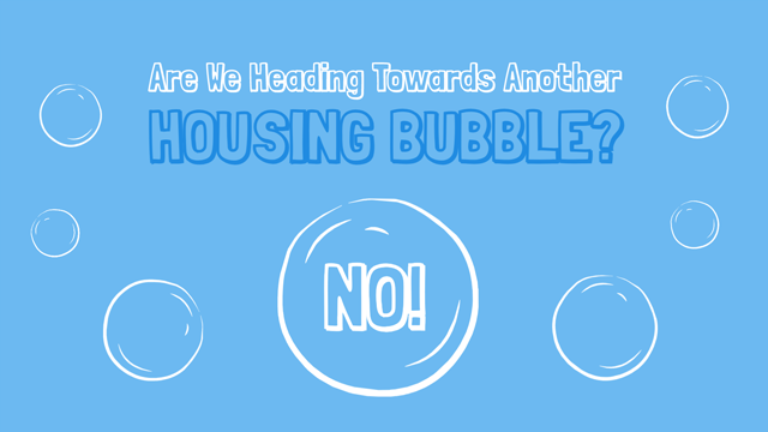 Today we have a 4.4 month supply of homes for sale, nowhere near the amount we had pre-bubble! Let’s chat about what that means in our market! However, if downsizing isn’t a matter of necessity for you, you’ll have a choice to make: Stay put, or pack up and move. There are pros and cons to both options that you should consider. You could reduce or eliminate your mortgage: More than 4 in 10 older Americans responding to a recent survey conducted by American Financing indicated they still owed money on their mortgages in retirement, and 17% said they didn’t think they’d ever pay off their mortgages. If you still owe on your home but could downsize to a cheaper house that’s paid in full, or has a much smaller mortgage, you could significantly lower your housing costs. Spending less on housing means you can reduce the amount you withdraw from investments — or have more wiggle room in your budget. You could reduce other housing costs: If you downsize to a smaller and cheaper home, not only can you cut your mortgage costs, but other expenses are likely to be reduced as well. Your property taxes should be lower on a cheaper house, for example, and your utilities should be less if your new home is smaller. The average annual increase on property taxes is typically much greater than the average annual increase in Social Security benefits, so when you’re living on a fixed income, keeping property taxes as low as possible is essential. You could pick a more strategic location: When you sell your existing home, you could pick a place for your new one that makes your cost of living cheaper in other ways besides just reducing housing costs. For example, you could move to a state that doesn’t tax Social Security if your benefits are currently taxed. Or, you could move somewhere more walkable so you could get rid of at least one of the cars in your household. Reducing monthly costs by downsizing could mean the difference between your nest egg seeing you through to the end of your retirement, or running out of money early — so it’s something to seriously consider if you’re afraid your cash won’t last. You may not actually save as much money as you think: According to the National Association of Realtors, the average homeowner between the ages of 65 and 74 who decides to downsize will sell a home for $270,000 and buy a new house for $250,000. That’s because demand for smaller homes is high, and retirees are competing with first-time homebuyers looking for starter homes. If you can only reduce your housing costs by around $20,000, it may not be worth the effort. Moving can be expensive: When you sell your home, you typically must pay commission to your real estate agent and the buyer’s agent. You’ll have closing costs to pay, and moving expenses. This can eat up any savings that come from downsizing. You could lose your sense of community: Maintaining social connections is essential to staying healthy in retirement. If you’ve been living in one place for a long time, you likely have friends in your neighborhood, know your local restaurants, and have places in the community where people know you. Moving and giving up your established social connections could make it much harder to enjoy your post-work life. You may be sorry your new house is smaller: According to recent census data, one-third of young people between the ages of 18 and 34 lived with their parents in 2015, and more young people lived with parents in 2016 than with spouses. If you downsize, and your kids decide to come back home, you — and they — may be unhappy with the fact that you’re stuck in closer quarters. Think through these issues carefully — and do the math — before you list your home, so you don’t end up doing something you regret. Have you been thinking about putting your house on the market? What about moving-up to the house of your dreams? With supply and demand continuing to raise prices, now may be the perfect time! Let’s get together to discuss why you should list your house for sale this fall!